Hand blended stretch mark oil for stretch mark scars, dehydrated and uneven skin. 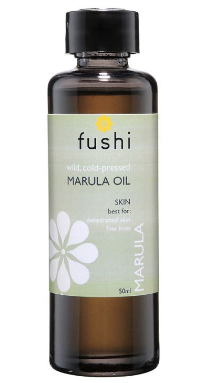 Fushi's Really Good Stretch Mark Oil is a specialist unfragranced blend to improve the appearance of stretch marks. Formulated by using an innovative in-house infusing technology, it contains triple strength Indian Tulsi also known as Holy Basil for its superb skin healing powers and renowned benefits for stretch marks. Blended with African Baobab oil, which holds the properties of omega 3, vitamin E and D, it is ideal for scars, blemishes and stretch marks. These work together with penetrating vitamin E rich Wheatgerm oil and Avocado oil, which strengthen the skin, providing a preventative element that will help the skin heal faster. And finally combined with the powerful Pomegranate oil and Grapefruit seed oil this formulation will effectively tone the skin and promote skin elasticity. Ingredients; Organic Sweet Almond Oil (Prunus dulcis) with triple infused Organic Tulsi Serum (Ocimum Sanctum), Organic Rosehip Seed (Rosa damascena), Baobab Seed Oil (Adansonia digitata), Organic Wheatgerm (Triticum Vulgare), Organic Avocado (Persea Americana), Organic Pomegranate Seed Oil (Punica Granatum), Grapefruit Seed Oil (Citrus paradisii), Vitamin E (D-Mixed tocopherols).